Do Kids with Ear Tubes Need Ear Plugs When Swimming? Dr. Kille is certified by the American Board of Otolaryngology. He specializes in pediatric otolaryngology, including pediatric sleep apnea, airway and swallowing disorders, neck masses, sinus disease, ear disease and hearing loss. 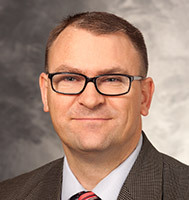 Dr. Kille also serves as the program director of the University of Wisconsin Otolaryngology Residency Program. Dr. Kille's His research interests include pediatric sleep disorders, sinus disease, medical education and quality improvement.